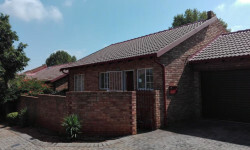 Just Property Randburg is a keystone real estate company that occupies a sizable percentage of the property market in South Africa. 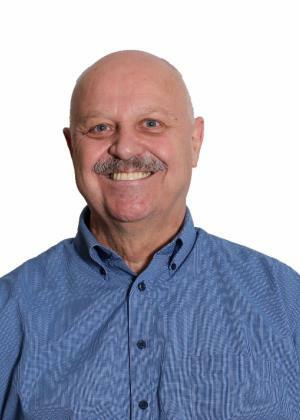 As a main player in the real estate industry, we offer friendly, professional services towards sales and rentals of the residential sector as well as the commercial or industrial sectors. For those of you are looking to purchase or find properties to rent, our accomplished real estate agents will surely find the perfect property that is best suited for your needs. With over 100 owner operated rental franchises nationwide, finding suitable houses and flats for rent has never been easier. 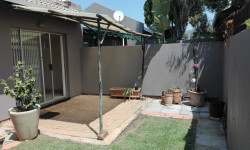 Just Property Randburg will satisfy all of your real estate needs. Whether it's sales or rentals and regardless of the property types (residential, commercial or industrial), just contact us and let us take care of it. Let us take care of YOU. Our qualified real estate agents are ready to service you. Call us today for a FREE evaluation for your property. The residents in Randburg tend to be more affluent than most Johannesburg dwellers. Here one will witness large lavish homes and an abundance of boutiques. In fact Randburg is well know for its plethora of shopping centres and entertainment areas. A fantastic attraction is the Lion Park featuring 4 prides of lion and a number of rhino. For the adventurous why not take your photographs with the gorgeous lion cubs. 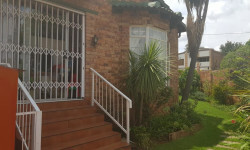 Over the past 30 years, developers and investors have seized the opportunities that are being created afresh in the new bigger Randburg area. Also well serviced from this office is the University suburb of Melville with its still vibrant and trendy centre and bohemian lifestyle. This area is in close proximity to the lovely Melville Koppies a Unesco world heritage site. Montecasino is Gauteng's premier entertainment destination. The R1.4 billion gaming, retail and lesure complex is the flagship development of Tsogo Sun. One can spend an evening with the high-rollers in the casino, take in the majestic beauty of their feathered friends in the Montecasino Bird Gardens, spend the day in play with fun for the whole family, watch a movie or show, shop till you drop, have a great night out or simply enjoy a quiet meal in one of their many restaurants and coffee shops. It's definitly the place to be! For those who prefer to be outdoors amongst nature, there is a diversity of thrilling and entertaining activities all set in spectacular surroundings. These include absailing, river rafting, canoeing, horse riding, bird watching, fishing, golfing and so much more. There is something here for everyone. Though not touted as an outdoor city, there are, nevertheless, a number of parks and nature reserves, like Emmarentia Dam and the Walter Sisulu Botanical Garden, that are worth a visit. The Magaliesberg is just on your doorstep, and you're extremely wellplaced for adventures in a little further afield, like the Kruger National Park and the game parks of the Lowveld. Connecting Buyers and Sellers though Meaningful Conversations and Innovative Tools. As professional real estate agents, it is our job to understand our clients’ property-related needs, respond to them promptly, professionally and with integrity. We also work hard to deliver insights and advice that you can only get from a fully qualified estate agent. There are many components to a successful real estate transaction and you can count on us to be there every step of the way. We deliver innovative tools to make your property buying or selling experience exceptional, from buyer education, to affordability tests and pre-qualification, to customer service beyond the closure of a deal. We are the market leaders in property rentals and management with over 16 years of industry experience and assets under management exceeding ZAR 250 Million. Because our comprehensive tenant assessment and property management systems deliver peace of mind to owners and renters alike. We facilitate both long- and short-term results. Office 201B, Shop 1012, Heathway Shopping Centre, Beyers Naude drive, Blackheath, Gauteng, 2195.